Som ett komplement till mina tidigare inlägg Russia’s Disinformation Campaign over South Ossetia och Before the Gunfire, Cyberattacks against Georgia kommer här en mycket intressant kronologi over händelseutvecklingen som lede fram till Rysslands invasion av Georgien från Central Asia-Caucasus Institute. Som jag konstaterat tidigare så visar även denna kronologi på de långtgående ryska förberedelserna långt innan kriget. Och att den ryska planeringen var att ”göra något” i början/mitten av augusti. Vilket ju också skede. De ryska styrkorna var förbereda och hade satt sig i rörelse före den 7-8 augusti då Georgien gick in i Tschinvali. Här är en bra karta som visar de olika styrkornas utgångsläge och det inledande förloppet. 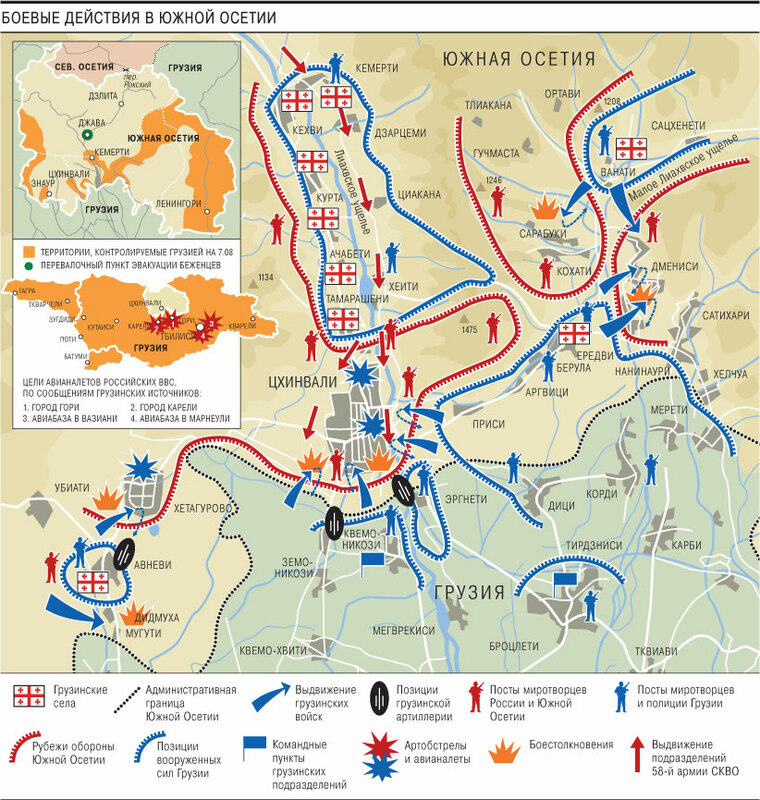 In August 2008, Russia launched an invasion of Georgia that sent shock waves reverberating – first across the post-Soviet space, but then also into the rest of Europe and the world, as the magnitude of the invasion and its implications became clear. This invasion took the world by surprise. But what should have been surprising about it was perhaps the extent of Russia’s willingness to employ crude military force against a neighboring state, not that it happened. Indeed, Russia had for several years pursued increasingly aggressive and interventionist policies in Georgia, and had employed an array of instruments that included military means, albeit at a smaller scale. In the several months that preceded the invasion, Moscow‘s increasingly blatant provocations against Georgia led to a growing fear in the analytic community that it was seeking a military confrontation. Yet western reactions to this aggressive behavior remained declaratory and cautious in nature, and failed to attach cost to Russia for its behavior. After invading Georgia on August 8, Russia did score some initial successes in portraying the invasion as a response to a Georgian decision to militarily enter Tskhinvali, the capital of Georgia’s breakaway region of South Ossetia. Yet a growing body of evidence rapidly emerged, implying that Russia’s invasion was premeditated, not reactive – or in the words of a leading Russian military analyst, planned, not spontaneous. Indeed, as the chronology included in this paper shows, Russia had been meticulously preparing an invasion of Georgia through the substantial massing and preparation of forces in the country’s immediate vicinity. Scholars will debate whether Russian tanks were already advancing inside Georgian territory when Georgian forces launched their attack on Tskhinvali; yet there seems little doubt that they were at least on the move toward the border. And the scope of the Russian attack leave little doubt: it immediately broadened from the conflict zone of South Ossetia, to the opening of a second front in Abkhazia and systematic attacks on military and economic infrastructure across Georgia’s territory. Within days, tens of thousands of Russian troops and hundreds of tanks and armored vehicles roamed Georgian roads. Russia’s subsequent decisions to ignore the terms of a cease-fire agreement it signed, and to recognize the independence of the breakaway republics of Abkhazia and South Ossetia, all complete the picture of long-hatched plan. The purpose was not merely related to South Ossetia or even Abkhazia: it served to punish Georgia and expose the inability of the west to prevent Russia from moving aggressively to restore its primacy over the former Soviet Union’s territory, irrespective of the wishes of the governments and populations of the sovereign countries on that area. It is indeed the predetermined nature of this war that makes its implications so far-reaching. It constituted Moscow’s first military aggression against a neighboring state since the invasion of Afghanistan in 1978; and it took place, this time, against a member state of European institutions such as the OSCE and the Council of Europe, and to that a country on track to integration with NATO. As such, political leaders and analyst soon understood that it formed the largest crisis to date in Russia’s relationship with the West; some have even come to realize that the Georgian war of 2008 may be the most significant challenge to European Security since the Cold War’s end. It is therefore of particular importance to document, already at this stage, how this war started and draw some preliminary conclusions regarding what it means for Georgia, the post-Soviet space, and Europe and the United States. The following pages propose to do so by providing a chronology of events before, during, and immediately after the war; as well as to propose some initial conclusions that could be drawn from this chronology, as well as regarding its implications. Following an operation launched by the Georgian governments to curtail rampant smuggling across South Ossetia, clashes between Georgian forces and South Ossetian separatists take place as Georgia sought to restory authority, with numerous deaths on both sides. Sergey Bagapsh assumes the de facto presidency of Abkhazia, following an election in which Moscow backed his opponent, Raul Khadzhimba. Bagapsh’s electoral victory led to strong Russian pressure on the de facto leadership, which forced Bagapsh to include Khadzhimba into his government as Vice President and hand him control of security and defense affairs. Subsequently, serving Russian security and military officials are appointed to leading positions in the de facto governments of the unrecognized republics. Hence Russian general Soltan Soslaniev served as Abkhazia’s defense minister, while Anatoly Zaitsev became the de facto republic’s chief of staff. Likewise, South Ossetia‘s prime minister, Yuri Morozov, and security chief, Anatoly Barankevich, were among several Russian officers in the South Ossetian de facto government. President Saakashvili presents peace plans to both Abkhazia and South Ossetia, both of which are rejected. Explosions occur on the Russian side of the Georgian-Russian border, damaging a gas pipeline and an electricity transmission line and cutting gas and electricity supplies to Georgia. These explosions occur days after Russia cut energy supplies to Ukraine, and are blamed on unidentified terrorists. Russia introduces an import ban on Georgian wine and mineral water, Georgia’s most lucrative export products, citing health and quality concerns. Russia builds a military base in the district of Java, north of Tskhinvali in South Ossetia, an area off limits to international observers. The base includes substantial refueling capabilities for tanks and armored vehicles. Under what is officially a law enforcement operation, Georgia takes control of the Kodori Gorge in Abkhazia, previously run by a local (Georgian) warlord. The Georgian Government-in-Exile for Abkhazia is installed in the Gorge. Georgia also intensifies efforts to internationalize the Russian-led peacekeeping formats in Abkhazia and South Ossetia. Georgia expels six Russian intelligence agents accused of espionage. Russia responds with a full economic embargo of Georgia, including the severance of all transportation and communication links, including rail, road, sea, air, postal, and banking ties. Russian law enforcement raids Georgian businesses in Russia and begins deporting Georgian citizens. Georgian-controlled villages in the Kodori Gorge are attacked by ground-to ground rocket fire, likely from territory controlled by the Abkhaz de facto authorities. The attack is supported by Russian military helicopters, a fact obliquely confirmed by a subsequent report of the United Nations Observer Mission in Georgia (UNOMIG). Western leaders fail to react to the UNOMIG report. After elections held in parallel with elections for the Tskhinvali authorities, Georgia introduces a provisional administration in the parts of South Ossetia it controlled since the cease-fire of 1992, under the leadership of Dmitri Sanakoyev, a former high official in the separatist government. A missile dropped by an aircraft lands undetonated near a Georgian radar in Tsitelubani in close proximity of South Ossetia, recently upgraded to NATO standards. Two teams of European and American experts conclude that the action must have been performed by the Russian Air Force. A Russian team of experts instead argues the incident had been staged by Georgia to create an impression of Russian aggression against the country. Kosovo declares independence. President Putin claims Kosovo’s independence, if recognized by western states, will set a precedent with consequences for Abkhazia and South Ossetia. A few weeks later, in an interview with Nezavisimaya Gazeta, Konstantin Zatulin, Deputy Chairman of the Duma Committee on CIS and Compatriot Affairs, suggests the draft presidential decree may be just the first step toward Russian recognition of Abkhazia and South Ossetia. It is important to move now, says Zatulin, while Kosovo is still a fresh issue and well before the 2014 Winter Olympics in Sochi. ( For full details and documents, see the October 2007 Silk Road Paper published by the Joint Center, The August 6 Bombing Incident in Georgia: Implications for the Euro-Atlantic Region, by Svante E. Cornell, David J. Smith, and S. Frederick Starr). Tbilisi withdraws from the Joint Control Commission overseeing negotiations over South Ossetia. It instead proposes a format which, apart from Georgia, South Ossetia and Russia, also envisages active roles for the EU, OSCE and the Sanakoyev administration. Russia announces its withdrawal from the 1996 CIS sanctions treaty, which banned trade, economic, financial, transport and other links with Abkhazia. President Mikheil Saakashvili outlines a new peace initiative for Abkhazia, including the establishment of a free economic zone, representation at all levels of the Georgian government, and far-reaching autonomy for Abkhazia. At the NATO summit in Bucharest, Georgia is denied a Membership Action Plan. Georgia and Ukraine are nevertheless assured they will be offered NATO membership at an unspecified point in the future. German chancellor Angel Merkel stresses that a country with unresolved conflicts can nevertheless not join NATO. A Russian presidential decree signed by outgoing President Vladimir Putin instructs the Russian government, as well as Russian regions, to open political, social, and economic relations with Abkhazia and South Ossetia. The decree in many ways establishes relations between Moscow and the two territories that approximate relations between Moscow and its federal subjects. This is interpreted in Tbilisi as a move to legalize a Russian annexation of the two regions. Abkhazia claims Georgia is reinforcing its troops along the cease-fire line and in the Kodori Gorge. UNOMIG nevertheless states that no troop increases have taken place. An unarmed Georgian UAV (Unmanned Aerial Vehicle) is downed over Abkhazia. Citing footage from the UAV’s camera capturing its own destruction by a MiG-29 aircraft as well as radar recordings showing an aircraft taking off from the Gudauta airbase in Abkhazia and departing into Russian airspace, Georgia accuses the Russian Air Force of downing the UAV. This triggers a diplomatic row, as Tbilisi claims Russia is engaging in military action in Abkhazia, while Russia denies responsibility, claiming the plane was shot down by the Abkhaz air defenses. A UNOMIG investigation subsequently concludes in May that the aircraft was Russian. At the UN, the U.S., UK, France and Germany, all members of the Group of Friends of the Secretary General for Georgia, express concern over Russia’s policy toward Abkhazia and South Ossetia, and President Saakashvili calls for talks on internationalizing the peacekeeping missions in the two regions. The Russian Ministry of Foreign Affairs claims Georgia has reinforced its military presence in the Kodori Gorge, preparing for an invasion of Abkhazia. Russia confirms it is reinforcing its peacekeeping contingent in Abkhazia, and setting up several new checkpoints along the Inguri River. UNOMIG subsequently denies any troop buildup in the Kodori Gorge or along the cease-fire line. 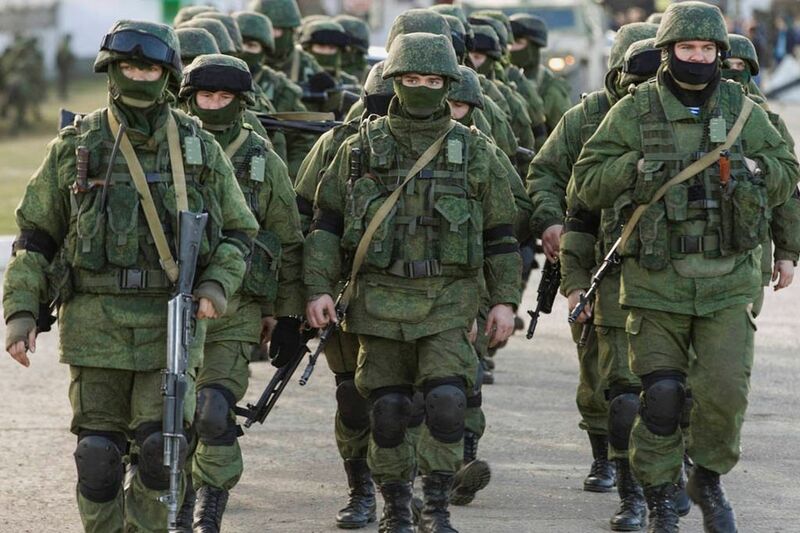 Russia confirms having increased its peacekeeping contingent in Abkhazia from 1997 to 2542 soldiers. Abkhazia’s leader Sergey Bagapsh requests permanent Russian military presence in Abkhazia. 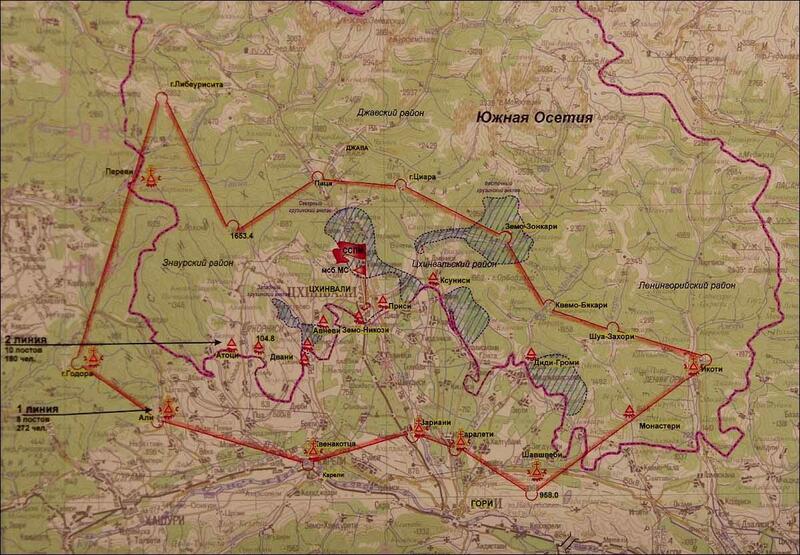 Such plans are later denied by the Chief of the General Staff of the Russian Armed Forces. Georgian officials say a war between Georgia and Russia has been avoided due to French mediation. The UN General Assembly passes a resolution tabled by Georgia on the right of return of all IDPs to Abkhazia. The U.S. votes for the resolution, Russia against; most western European states abstain. Georgia holds parliamentary elections. Two buses intended for transporting Georgians in the Gali region to polling stations are blown up in Khurcha, just across the border in Georgia, injuring four. Tbilisi claims the Abkhaz side is responsible. Later reports by UN observers suggest the incident was staged by Georgian officials. The Russian Ministry of Defense sends about 400 troops from the Russian Defense Ministry Railway Forces to rehabilitate Abkhazian railways. Tbilisi accuses Russia of improving the infrastructure in Abkhazia in preparation for a military intervention. One person is killed and four injured in a skirmish between Georgian and South Ossetian forces in the outskirts of Tskhinvali. Georgian forces confiscate heavy equipment including anti-tank missiles from Russian peacekeepers on the Georgian side of the Georgian-Abkhaz administrative border – weaponry that, according to the agreement on peacekeeping, required notification of Georgian authorities. In an interview with the Georgian newspaper Rezonansi, respected Russian military analyst Pavel Felgenhauer stated that a political decision to start a war in Georgia had been taken in Moscow as early as April. He predicted that a war would start in Abkhazia no later than the middle of August. Sukhumi closes Abkhazia’s de facto border with Georgia. An explosion in the South Ossetian village of Dmenisi kills a South Ossetian police chief. Later the same day, a mine attack on a convoy carrying Dmitri Sanakoyev injures three Georgian policemen near Tskhinvali. The attack is followed by an exchange of fire between Sanakoyev’s security personnel and unknown gunmen. At least two people die in shellings in Tskhinvali and surrounding villages. The information services of the North Caucasian Islamic resistance publish an article on their website, Kavkaz-Center, stating that Russia will wage a war in Georgia in August, but placing it in Abkhazia. The Georgian MOD reports the intrusion of four Russian aircraft over South Ossetia. Russia confirms its aircraft entered Georgian airspace to ”cool hotheads”, marking the first instance of a violation of airspace not denied by Russia. Russia launches a large-scale military exercise, ”Kavkaz-2008”, in 11 regions in the vicinity of the Georgian border. Approximately 8,000 army servicemen participate in the training, which engages paratroopers, the Pskov Airborne division and the Black Sea Fleet. 700 combat vehicles and 20 aircraft are activated and undergo readiness inspections. The Russian authorities refer to the exercise as a pre-planned counter-terrorism operation, but states also that it aims to prepare the troops for involvement in special peacekeeping operations, due to the latest developments in the region. The Russian Ministry of Defense announces the completion of the repair of the 54-kilometer railway linking the Abkhazian capital of Sukhumi with the region of Ochamchire in the Abkhazian conflict zone. Som ett komplement till mitt inlägg Before the Gunfire, Cyberattacks against Georgia där det visade sig att den ryska sidan först ”övade” och finslipade taktiken mot Georgien med ett ”test” anfall den 20 juli. Två och en halv vecka INNAN kriget bröt ut. Kommer här en intressant genomgång av Robert M. Cutler i senaste numret av Central Asia-Caucasus Institute Analyst som visar på de långgående ryska förberedelserna innan kriget. Och att ryska stridsvagnar och pansarfordon varit på väg från Vladikavkaz i flera dagar över bergen. With Georgian government websites shut down by cyber-attacks in the days immediately preceding hostilities, the Russian story of its army coming to the defense of South Ossetia in the face of Georgian assault gained currency. This script is still often invoked as a preface to any commentary or reportage on current developments. However, as facts begin to surface, it is increasingly revealed as a propaganda strategy planned in advance and contradicted by evidence on the ground, by the testimony of neutral observers, and by the increasingly transparent cynicism of its purveyors. BACKGROUND: From the very beginning of military clashes on the night of 7-8 August, there has been a concerted Russian effort to vilify President Mikheil Saakashvili as a war criminal. In the first days of the conflict, Russian media repeatedly cited a figure of 2,000 civilian casualties in Tskhinvali city and up to 40,000 refugees (out of a maximum 70,000 total population in South Ossetia of all ethnicities). It was on this basis that not only Russian media but also the highest Russian leaders repeatedly condemned Georgian President Mikheil Saakashvili as a war criminal guilty of ethnic cleansing, and promised prosecution in international courts. These claims have faded in recent days, because they have been shown to be false by systematic investigations by Human Rights Watch as well as by the aggregated testimony of foreign reporters who have entered the region since the Russian occupation. In a twist, Georgia has filed a brief before the International Court of Justice charging Russia with conducting and abetting ethnic cleansing of Georgians from South Ossetia and Abkhazia from 1990 to the present. There is a general view that Georgia assaulted South Ossetia before Russian troops invaded. A detailed timeline provided by Georgia’s Prime Minister Lado Gurgenidze during an international telephone press conference disputes that assertion, however. This view is corroborated in most part by several independent sources, and an independent Washington Post reconstruction of events concludes that the Georgian assault on Tskhinvali and the Russian tank column’s emergence from the Georgian end of the cross-border Roki Tunnel could only have been minutes apart at most. Roughly 150 Russian vehicles including armored personnel carriers got through before Georgian forces were able to mount an only partially successful attack on the crucial bridge at Kurta linking the Roki Tunnel with Tskhinvali. It seems inescapable that Russian tanks must have been on the road from Vladikavkaz, North Ossetia, for some time in order to cross the 100 miles of mountain roads to reach South Ossetia when they did. Novaya gazeta’s respected military analyst Pavel Felgenhauer is only one of several writers who have documented how the Russian invasion is only the culmination of a months-long series of provocations as well as strategic and tactical on-the-ground preparations, for example the construction and equipment of a base near the city of Java, northwest of Tskhinvali, as a refueling depot for Russian armor moving southwards. This should be added to the better-known ”railroad repair” troops sent to Abkhazia in recent weeks, who are reliably reported to have constructed tank-launching facilities. The ceremony completing the railway repair was held as late as July 30. IMPLICATIONS: Reports of fighting on 8 August, for which Russian media were the chief origin, asserted that Georgian forces entered Tskhinvali city early in the day, were then driven back by Russian troops who were said to retake the city, and finally returned to seize parts of the city’s southern outskirts before being repelled for good. However, according to subsequent reports by civilians in Tskhinvali, the Russians never occupied the city; rather, it was combined artillery and aerial bombing that drove the Georgians out of the city. According to Georgian sources, this bombardment was extremely intense and lasted for all the time Georgian forces were in Tskhinvali from dawn on 8 August until just before noon, and continued even afterwards, intensifying again when Georgian forces attempted to re-enter the city later in the day. Among the weapons systems used by the Russian forces were Uragan and Grad artillery. 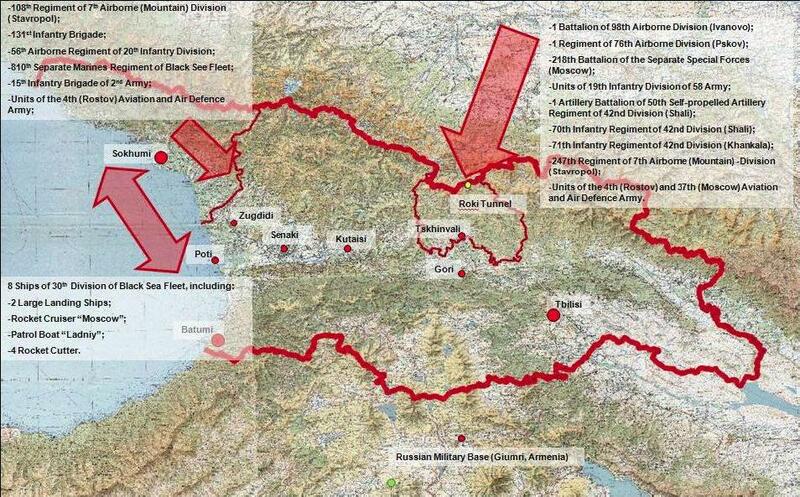 The latter is the same system that Georgian military affirmed using against Russian military posts outlying Tskhinvali late on the night of 7 August, after Russian armor entered Georgia through the Roki Tunnel. Both sides as well as local observers agree that there was massive aerial bombardment during the day of the eighth. Moreover, American military training provided to the Georgian army over the last few years appears to have concentrated on counterinsurgency tactics, in view of Tbilisi’s contribution of troops to the Iraq conflict. Given Russian air superiority in the region, it is difficult to suppose that the heavy aerial bombardment of Tskhinvali city came from the Georgian side. Russian sources blame the destruction exclusively on the Georgian artillery assault on the night of 7-8 August, but surviving city dwellers seem to indicate that the Georgian assault was concentrated on the administrative quarters of the Russian-backed South Ossetian separatists, as well as communications links and the like. By contrast, if observers’ reports are to be believed, the degree of devastation visited upon the city by nightfall on 8 August (after Russian bombardment had driven the Georgians from the city) is paralleled in recent history only by the leveling of Grozny in the Second Chechen War of the 1990s. The Russian side’s signature of consecutive ceasefire agreements without any visible attempt to implement them may also be charitably described as disinformation. This pattern of behavior was first clearly revealed several days ago when, after the Russian and Georgian presidents had both signed French president Nicolas Sarkozy’s six-point ceasefire document, the Russian military began to withdraw from Gori and then, as soon as international media began to report this, literally reversed gear and moved back. 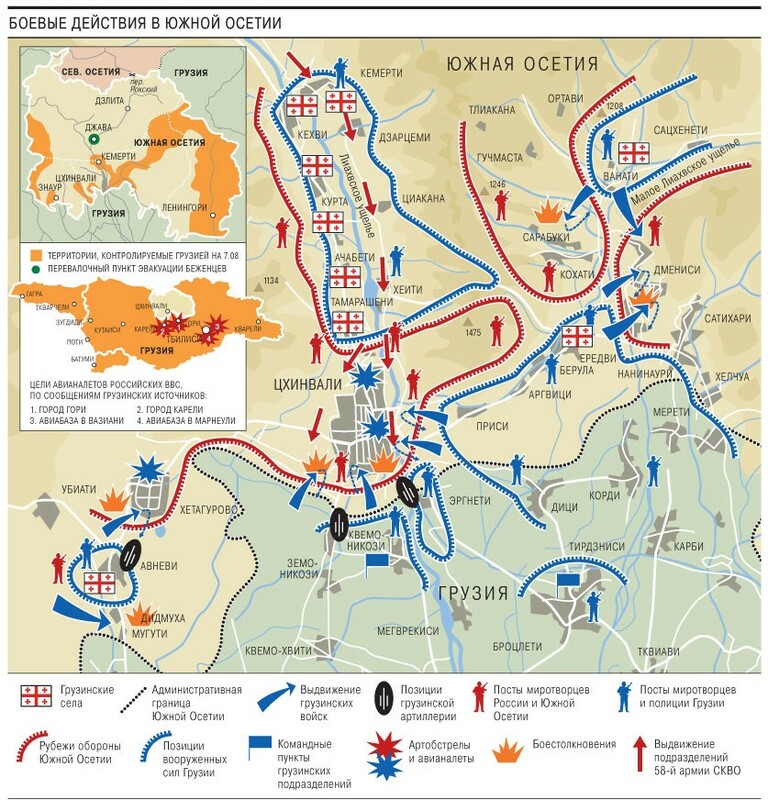 As Western video journalists reported live, Russian troops then continued to attack nonmilitary establishments (the nearest military target is a base eight miles outside Gori) while appearing to coordinate with Ossetian and other North Caucasus irregulars who looted property and even abducted civilians. CONCLUSIONS: What is remarkable about the Russian information policy on the war against Georgia is its failure to adapt to the twenty-first century information environment. Even Russia’s U.N. Ambassador Vitalii Churkin has lost the charisma that he radiated twenty years ago when, during the heyday of glasnost and perestroika, he became the first Soviet ambassador to Washington to testify to a Congressional committee. Russia’s political leaders hold no spontaneous interviews even with representatives of Russian media. By contrast, Saakashvili’s presence on CNN and other western stations, and his and the Georgian leadership’s command of foreign languages, have enabled them to get their message across effectively. Late on the night of 18 August, Tbilisi time, the Georgian Ministry of Defense posted a statement (hosted on blogspot.com because of continuing infrastructure and cyberattacks against official Tbilisi websites), saying simply: ”It is absolutely obvious to the international community that the Russian Federation chose destruction of economy with the use of military force and ethnic cleansing as an instrument for implementing its foreign policy.” The credibility of the Georgian message is enhanced not only by reports from foreign journalists on the ground but also by an entirely new element in the information environment: the aggregate of amateur eyewitness reports on youtube.com, ireport.com, and other vlog (video-logging) dedicated websites. AUTHOR’S BIO: Robert M. Cutler is Senior Research Fellow, Institute of European, Russian and Eurasian Studies, Carleton University, Canada.